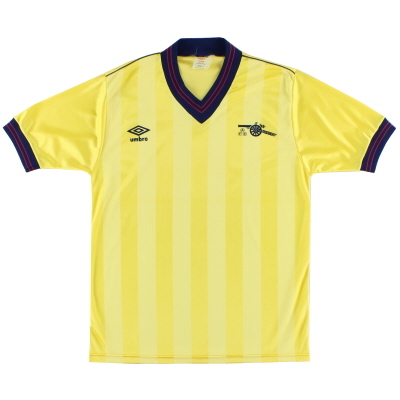 Before the arrival of continental sportswear brands in the late 1970s Umbro, along with fellow British firm Bukta, had dominated the British football kit market for decades. Although visible manufacturer branding wasn’t permitted on team strips until the early 70s the chances are that if you examined the labels on a random selection of British football jerseys from the 1940s, 1950s & 1960s there’s a pretty fair chance Umbro produced it. The company’s football kit dominance was vast - in fact by 1966 85% of all British football teams were equipped by Umbro. The company was founded in 1924 by Harold and Wallace Humphrey in a small workshop in Wilmslow, Cheshire with the ‘Umbro’ name actually an acronym taken from ‘Humphreys Brothers’. Throughout the 1920s and 1930s the company grew steadily and within four years were producing enough stock to supply 5000 teams. Umbro’s first major final kit appearance came in 1934 with the supply of team strips for both Manchester City and Portsmouth in that year’s FA Cup final. The ‘Tangeru’ shirts worn were produced from a soft cotton fabric that was soon to be adopted throughout the football world. 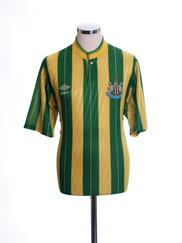 The following season’s Cup Final also saw both sides (West Bromwich Albion and Sheffield Wednesday) wearing Umbro - a fact the company’s marketeers were not shy to exploit. When the Second World War commenced in 1939 Umbro also began producing army uniforms, gas mask covers and various other necessary items to help the war effort. Throughout the 1940s and 1950s Umbro’s reputation increased dramatically with many of the country’s top sides now wearing their apparel. The firm’s popularity spread into other sports as well with the 1952 British Olympic team also sporting Umbro. Such was the strength of their relationship that Umbro then went on to supply British Olympic athletes for a further 20 years. In fact one of athletics greatest ever moments, when Roger Bannister broke the 4 minute mile in 1954, was achieved in Umbro apparel. 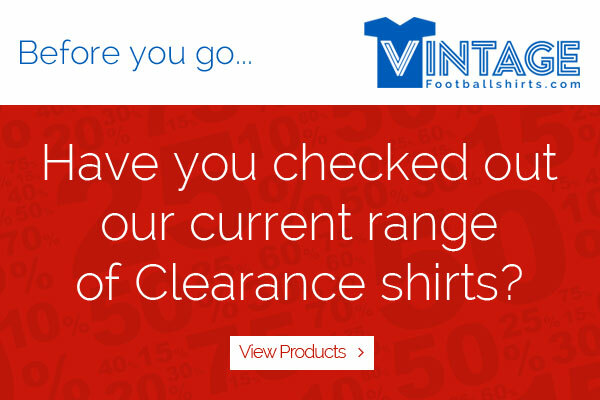 But back to football�when the great continental switch to lightweight, short-sleeved jerseys occurred in the late 1950s Umbro were again at the forefront of the new fashion movement. They worked closely with Manchester United manager Sir Matt Busby to design a range of new hi-tech football kits that set the trend for strip design for several years. Known as the ‘Choice of Champions’ the range was the first official partnership between a manufacturer and a football professional of its kind. Sir Matt’s name was also borrowed to promote Umbro’s innovative boxed replica kits. First produced in 1959 and aimed solely at children, it wasn’t to be until the mid 1970s that the replica market really took off and dominated football merchandising. 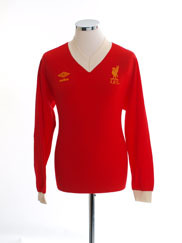 The 60s saw the return of long-sleeved jerseys in the British football world. Now they were crew-necked and lightweight - Umbro’s Aztec jersey had arrived. 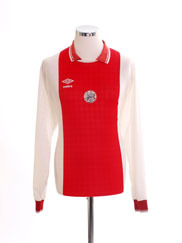 And it was in Aztec jerseys that England clinched the 1966 World Cup. In fact, thanks to the business tenacity of Harold Humphrey’s son John 15 of the 16 competing nations sported Umbro in that year’s tournament. Umbro were now also tasting success in the domestic European arena with first Celtic in 1967 and Manchester United a year later both winning the European cup wearing Umbro strips. 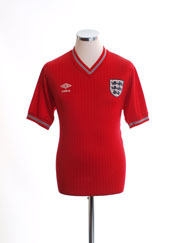 Innovation in football kit design began to grow in importance as the 70s approached, and for the 1970 World Cup finals Umbro pioneered the use of Airtex fabric - a lightweight material which was full of tiny holes for added ventilation. The early 1970s saw the Umbro logo permitted on kits for the first time enabling the company able to maximise exposure and promote themselves. 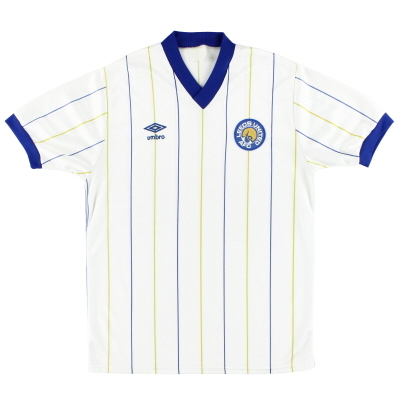 Within a couple of years Umbro had introduced ‘taping’ that ran down shirt sleeves and shorts and consisted of a repeated pattern of the company’s diamond logo. Umbro’s brand awareness at this time was also helped greatly by the almost total dominance of the Umbro-supplied Liverpool team of this period in the domestic and European game. 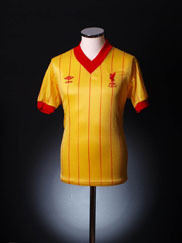 The replica kit market also grew rapidly in the mid 1970s and by the next decade it became the norm to see thousands of supporters on the terraces all wearing the same jerseys as their idols on the pitch. 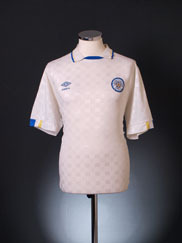 Umbro embraced the new trend with gusto and shirt designs became ever more complex and individual. 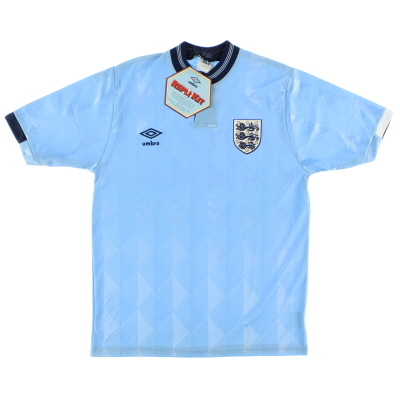 The 1980s also saw England return to the Umbro roster after several years with British rivals Admiral. Later in the decade Umbro also began producing football boots for the first time to add to their impressive portfolio of football products. 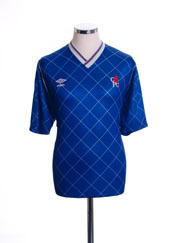 However as the 80s progressed Umbro’s impressive presence in the UK football kit market was now under threat from the increase of adidas, Le Coq Sportif and other European brands. 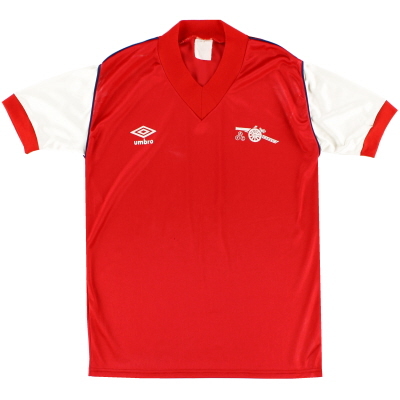 Long-term Umbro clubs Liverpool and Arsenal both departed for adidas in 1986 in what must have been a big blow to the company. Umbro still held firm though and by the early 1990s and the arrival of the Premier League, were still supplying 11 of the 22 inaugural sides (including the first Premier League champions Manchester United who had signed with Umbro in 1992) along with all of the home UK national sides - achievements not to be sniffed at. However it was at this time that the Humphreys family decided to sell the brand to American fashion firm Stone Manufacturing. 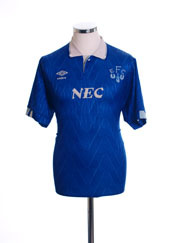 As the decade progressed and with high-profile sponsorship fees increasing in cost, Umbro’s share of the market began to fall back and by the mid-2000s the firm were relying on England, Nottingham Forest, Celtic, Chelsea and Everton to keep the brand alive in the British market. In 1999 the ownership of the company changed hands again with new owners Doughty Hanson & Co taking control for £90 million. 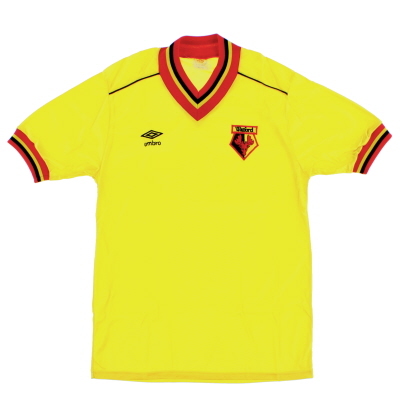 Ever the pioneers in kit design, Umbro constantly pushed boundaries throughout the 1990s. In 1991 the football world was stunned when Tottenham Hotspur took to the field in the FA Cup final wearing long, baggy Umbro shorts instead of the skimpy, tight fitting variety that had been favoured throughout the 80s. 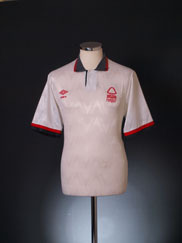 Within a couple of years though every club in the country was wearing something similar. 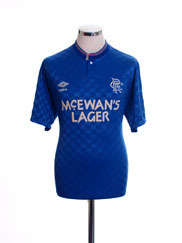 The firm also led the way with the post-modern retro kit design boom of the early 90s, reintroducing collars and reinventing ideas from years gone by. The company were also never shy when it came to the outlandish fabric patterns that gained favour as the decade progressed. Other bold ideas included football’s first reversible strip (Manchester Utd’s 2001-02 away/third shirt) and the creation of a unique Champions League strip (again, for Manchester Utd who clinched their unforgettable 1998-99 ‘Treble’ wearing it). 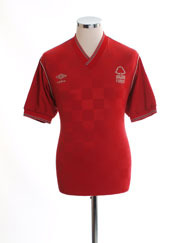 Fabric technology began to become the dominant factor in kit design in the late 1990s with players and clubs demanding high-performance materials. Umbro led the way, introducing their ‘Sportswool’ fabric designed to keep players cool and sweat-free. It wasn’t the first time that Umbro had been involved with similar high-tech materials though. 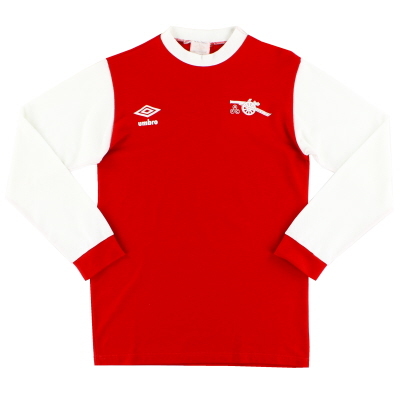 As well as the previously mentioned Airtex shirts of 1970 Umbro had also launched a similar sweat-wicking fabric ‘Tactel’ in the late 1980s. Competition in the UK kit market increased further as the 2000s moved on with Umbro’s flagship club Manchester United, eventually signing a deal with Nike in 2002 after 10 years with Umbro. The company‘s other major long-term contract in the top flight with Chelsea also came to an end four years later with the Blues moving to adidas. But Umbro would not be beaten and enjoyed a higher brand profile in 2007 then they had for several years when new deals with Blackburn, Sunderland and West Ham amongst others meant that the firm now supplied 6 of the 2007-08 Premier League contingent. In 2008 US giants Nike bought Umbro for a reported £285million. They ploughed money into the company with the aim of revitalising the brand. A year later they did just that with the influential and ground-breaking ‘Tailored by Umbro’ campaign spearheaded by a stunning new England home shirt that re-wrote the rule book when it came to kit design. Years on and the influence of this England kit can still be seen throughout the game. In 2012 Umbro’s ethos and philosophy of strong, clean and innovative design can still be seen throughout all the teams they supply. However, despite the retention of the prestigious England contract, the loss of a couple of high profile clubs (including Manchester City who switch to parent company Nike in 2013) and the announcement by Nike of their intention to sell Umbro have brought in an uncertain period for these true giants of British football kit design.